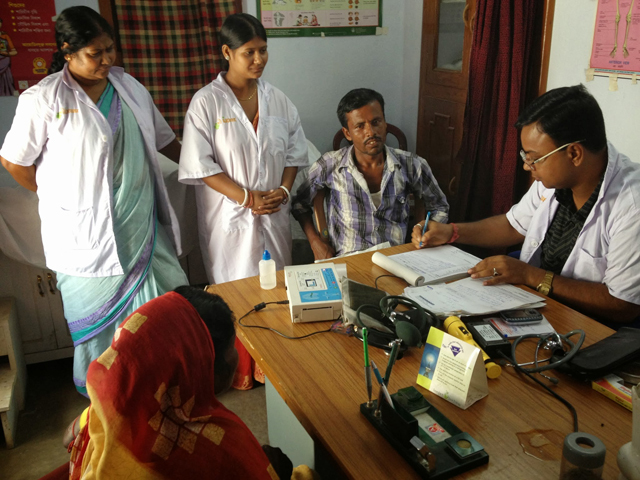 iKure Techsoft is a company that uses its own IT technology to provide affordable primary medical care to the communities in India without healthcare services. 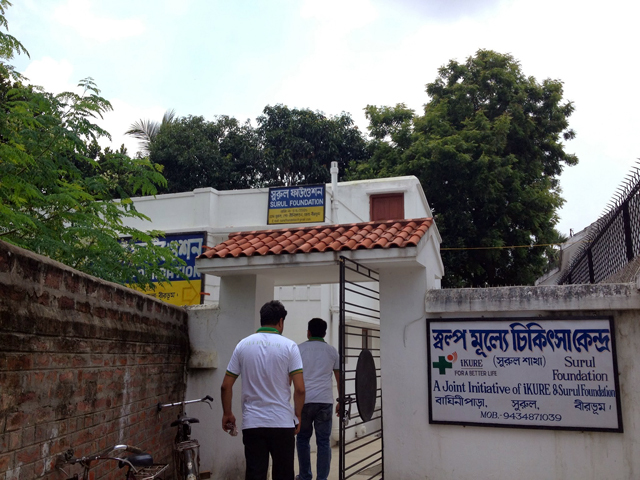 The company started providing services in the rural agricultural suburbs in Kolkata, the third major city in India. As of January 2014, they have expanded their services to 12 medical centers, working for the healthier lives of over 500,000 people who could not have received medical services without iKure Techsoft. The first thing iKure Techsoft did for the network of primary care centers was develop its own software called Wireless Health Incident Monitoring System = WHIMS. This may sound a little unusual, but it was a natural course of events when the entrepreneur was an engineer with experiences working for worldly known IT companies. When his beloved father fell ill with a heart disease, his family decided to have his surgery in the big city’s general hospital and have him recuperate at his home in the suburbs. His condition, however, did not improve after receiving a local doctor’s prescription. Six months later at the check up in the big city, the specialist told them that the prescription from the local doctor was wrong. This experience compelled the entrepreneur to take action. IT technologies to provide medical services to remote areas existed before, but there were many obstacles. They were impractical in the areas with bad communication; their initial capital investment cost was expensive, and also the patients had to make themselves available according to the doctors’ schedules in order to receive treatment. iKure Techsoft was born out of the belief that such obstacles can be overcome and the sorrows such as the entrepreneur’s family experienced must be eliminated. In India, the rural population is said to be 70% of the national population. In such areas, because of lack of knowledge, medical care is delayed for illnesses that can be cured if detected earlier. iKure Techsoft uses its own IT technology to deliver more primary care services to people in need. iKure Techsoft creates a team that consists of a doctor, a pharmacist, a facility manager and an assistant, and provides primary care to the designated nearby area. The cases that cannot be treated there are refered to the bigger hospitals in the network through sharing of patient information, and making reservation for treatments. Accumulation of knowledge obtained through such system enables doctors to treat illnesses that are typical in certain areas and broaden the knowledge to give a second opinion, and improve health of people who live in the area without doctors. Another benefit is that the medical teams in the remote areas have opportunities to provide more advanced medical treatment. In India, the numbers of people who are practicing medicine and the chances to be hired are unbalanced. iKure Techsoft aims not only to benefits the patients with increased chances for treatment, but also to provide growth opportunities for the medical staff.